31/10/14 -- Soycomplex: Beans and meal closed with good gains, having traded both sides earlier in the session. Both were sharply higher for the week and the month too. Meal in fact posted it's biggest monthly gain since 1976 in October. Funds bought an estimated 7,000 beans, 5,000 meal and 3,000 soyoil on the day, according to Benson Quinn Commodities. They said that they expect the USDA to report the 2014 US soybean harvest at around 85% done on Monday night, up from 70% complete a week ago. Thailand are said to have bought 340,000 MT of soymeal this week, mostly of Argentine origin. They've also been buying Argentine beans. The Buenos Aires Grains Exchange reported Argentine soybean plantings at 4% complete versus 2% a week ago. They left their area estimate at 20.6 million hectares, unchanged from previously and a record. Rabobank pegged their first half of 2015 soybean price forecast at $9.50–$9.75, with prices falling to $9.00 in the second half of next year. Nov 14 Soybeans closed at $10.46 1/2, up 22 1/4 cents; Jan 15 Soybeans closed at $10.49 1/4, up 19 1/2 cents; Dec 14 Soybean Meal closed at $389.00, up $9.00; Dec 14 Soybean Oil closed at 34.80, up 49 points. For the week that puts nearby beans 69 cents higher, with meal up $38.80 and oil up 241 points. For the month, beans have put on $1.32 1/4, with meal up $81 and oil 251 points higher. Corn: The corn market closed around a couple of cents firmer. "The southwest United States is expecting a few showers Sunday. However, by Monday significant rainfall is expected to develop in a swath of the Midwest, these showers coming from a moist stream coming out of Mexico. Midwest farms would receive at least 0.75 inch of rainfall but up to 1.5 inches locally. Farms in Nebraska, western Iowa, South Dakota and Minnesota would be mostly bypassed receiving lighter rainfall under 0.50 inch. The Midwest average weekly rainfall at this time of year is only 0.34 inch. Heavy Midwest rainfall would develop with a big portion of the corn crop still in the field. As of October 26th, only 46% of US corn was in the bin, compared to 65% normally," said Martell Crop Projections. The Buenos Aires Grains Exchange estimated Argentine corn plantings at 35.6% complete versus 32.8% a week ago and 34.8% a year ago. Russia said that their corn harvest was 82.5% complete on 2.2 million hectares at 9.8 MMT. US DDGs prices are close to 5-year lows on oversuppply. 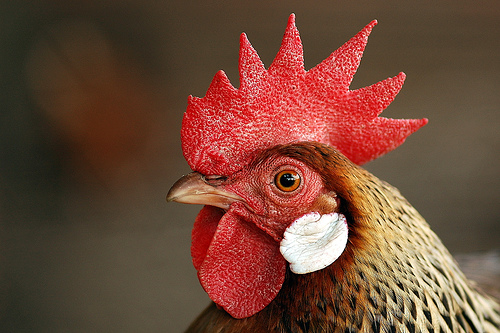 "I don’t expect prices to rally. Increasing supply will ultimately have to find a way to gain a bigger portion of the domestic feed market," said Benson Quinn's Brian Henry. Dec 14 Corn closed at $3.76 3/4, up 2 3/4 cents; Mar 15 Corn closed at $3.89 1/4, up 2 1/4 cents. For the week front month corn was 23 3/4 cents higher, and for the month it was 53 1/2 cents firmer. Wheat: The wheat market closed lower on the day, but mostly higher for the week. Russia said it had harvested 108 MMT of grains off 96.1% of the planned area. Wheat accounts for 61.5 MMT of that total (in bunker weight) off 96% of plan. Russian winter grain plantings are said to be 99.5% complete. Kazakh farmers are said to be struggling against heavy rain and snow to get the last of their 2014 harvest in. Ukraine said that it had exported 11.53 MMT of grains so far this season, including 6.37 MMT of wheat and 3.20 MMT of barley. 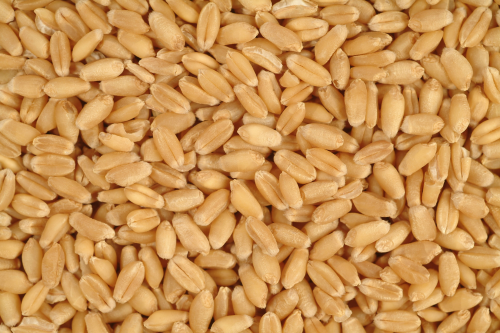 Tunisia bought 150 TMT of optional origin durum wheat in a tender. South Korea bought 26,100 MT of US wheat for March/April shipment. India imported 12,000 MT of Australian wheat. The US Ag attaché reduced his estimate for the Australian wheat crop to 24 MMT, similar to yesterday's number from the IGC. The strong dollar remains a negative for US wheat export ambitions. The Buenos Aires Grains Exchange estimated the Argentine wheat harvest at 5.2% complete versus 2.3% a week ago and 1.5% done a year ago. They said that the crop there is estimated at 11.5 MMT, unchanged from their previous forecast. Dec 14 CBOT Wheat closed at $5.32 1/2, down 3 1/2 cents; Dec 14 KCBT Wheat closed at $5.93 3/4, down 8 1/4 cents; Dec 14 MGEX Wheat closed at $5.74 1/4, down 3 1/2 cents. For the week CBOT wheat was up 14 3/4 cents, with Kansas unchanged and Minneapolis 7 1/4 cents firmer. For the month CBOT wheat was 54 3/4 cents higher, with KCBT up 25 3/4 and MGEX up 30 3/4 cents. 31/10/14 -- EU grains finished the day mostly lower, and finished mixed for the week, with London wheat displaying particular weakness today. The day ended with Nov 14 London wheat ended down GBP3.25/tonne to GBP118.50/tonne, Nov 14 Paris wheat finished EUR0.25/tonne firmer at EUR172.25/tonne, Nov 14 Paris corn was down EUR1.75/tonne at EUR143.75/tonne, whilst Nov 14 Paris rapeseed was EUR1.25/tonne higher to EUR330.50/tonne. For the week that leaves London wheat GBP1.30/tonne lower, Paris wheat EUR6.50/tonne higher, corn EUR0.75/tonne weaker and rapeseed EUR7.50/tonne firmer. As you can see, it's clearly been a choppy old week! For the month of October, London wheat has still put on GBP10.80/tonne, or 10%. Paris wheat has risen almost 13% during the month, with corn 4% higher and rapeseed up by almost the same percentage. Stocks in Europe and the US rose following a surprise move by the Bank of Japan to introduce a fresh round of monetary stimulus. Falling equities in the past month or so have been one of the things wooing investors back to the grains sector, so that could be seen a a bearish development. The continued strong pace of EU wheat exports remains a supportive factor. Brussels issued 729 TMT worth of soft wheat export licences this week, taking the cumulative campaign total to 9.8 MMT. That's higher than the 9.0 MMT granted this time a year ago when exports went on to be record high. You will recall that most analysts have EU-28 wheat exports down to decline this year. The IGC put all wheat exports at 28.1 MMT yesterday, down from 32.8 MMT a year ago, although up on the 26.7 MMT forecast a month previously. Note that the IGC however also raised their EU-28 wheat production and 2014/15 ending stocks estimates, with the latter now seen at 17.0 MMT, almost 2 MMT higher than a month ago and almost double the 8.8 MMT carryover at the end of last season. The pound finished the week at close to it's highest level against the euro since the summer of 2012, which also helps explain some of the disparity between London and Paris wheat today. The HGCA reported average specific weights in UK wheat samples this year at 77.1 kg/hl, similar to a year ago. Hagberg falling numbers are good, and also little changed versus 2013 at 308, although protein levels are lower at 11.3%, they said. UK barley specific weights are down on last year at 66.3kg/hl, although note that spring barley varieties account for 74% of the total sample. FranceAgriMer said that the French corn harvest had advanced to 57% done as of Monday, up from 38% complete a week previously and versus 30% this time last year. French winter wheat planting is 77% complete, up from 55% a week ago and 10 points ahead of last year's pace. The winter barley crop is 93% planted versus 80% last week and 86% this time last year. Winter barley crop conditions are rated 94% good to very good versus 91% this time last year. They haven't yet started reporting on winter wheat conditions. Harsh wintry weather in the remaining areas of Siberia and the Urals left to be harvested have trimmed recent analysts projections for the 2014 Russian grain harvest by 1-2 MMT to around 102-103 MMT in clean weight. The Russian Ag Ministry say that the country has now harvested 108 MMT of grains in bunker weight off 43.3 million hectares, or 96.1% of the planned area. Almost 20% of crops in the Urals area remain unharvested. The acute weakness of the Russian rouble is supporting domestic prices. The Russian central bank increased interest rates from 8% to 9.5% today, in an effort to combat rising inflation. Rates were only 5.5% at the turn of the year. The Ukraine harvest meanwhile is 91% complete on 13.5 million hectares at 55.6 MMT. 30/10/14 -- Soycomplex: Beans ended a choppy day lower, and more or less at the lows of the day. This may have been linked to month end profit-taking following the recent rally. Weekly export sales were good at over 1.3 MMT and actual shipments of in excess of 1.8 MMT were also robust. "It was clear the market is tired and overbought based on the weak reaction to export sales but cash markets remain firm and producer is still a reluctant seller as today’s weaker trade was orderly in a moderate volume session," said Benson Quinn Commodities. The International Grains Council cut their forecast for the 2014/15 global soybean crop by 3 MMT to 307 MMT, although that's still a record volume and 8% up year on year. Despite the reduction, world carryover stocks were raised 1 MMT to 40 MMT, a 40% increase versus 2013/14. The US soybean crop this year was raised from 106.5 MMT to 106.9 MMT, with Brazil's cut from 94 MMT to 91 MMT and Argentina's left unchanged at 54 MMT. China's imports were seen unchanged from last month at 73 MMT. Nov 14 Soybeans closed at $10.24 1/4, down 18 3/4 cents Jan 15 Soybeans closed at $10.29 3/4, down 19 1/4 cents; Dec 14 Soybean Meal closed at $380.00, down $17.20; Dec 14 Soybean Oil closed at 34.31, up 13 points. Corn: The corn market shed around a cent, doing its best to ignore what was going on in the soy complex. Weekly export sales of under 500 TMT for the 2014/15 marketing year were less than spectacular and below trade expectations. Fresh inputs were lacking. "Corn found some fund buying, but couldn’t gain much traction through the course of the day session. The poor close, with help from soybeans, indicates the corn market is losing upward momentum," said Benson Quinn. The IGC raised world corn production in 2014/15 by 6 MMT to 980 MMT, now only 3 MMT behind last season's record. Ending stocks were up 3 MMT to 194 MMT. "Despite further upgrades to US and EU crop forecasts, world production is still placed slightly short of last year’s record, due to expected declines in China and South America," they said. The EU corn crop is now seen at 72.9 MMT, up 2.2 MMT from a month ago and an all time high. They also raised the US crop by 5 MMT to a record 365 MMT. China's crop was trimmed from 215 MMT to 213.8 MMT. Separately, German analysts F O Licht raised their estimate for the EU-28 corn crop from the 70.4 MMT forecast a month ago to 74 MMT, a rise of 9.5 MMT versus a year ago. Dec 14 Corn closed at $3.74 1/2, down 3/4 cent; Mar 15 Corn closed at $3.87 1/2, down 1 cent. Wheat: The wheat market closed around 2-5 cents lower across the three exchanges. Weekly export sales of 444,900 MT were in line with trade ideas. "US wheat futures continue to trade at a distinct premium to global offers. However, sales, while not great, continue to meet or exceed what needs to be averaged on a weekly basis to meet the USDA’s export estimate of 925 million bushels," said Benson Quinn. The IGC raised world wheat production this season by 1 MMT to a record 718 MMT. Australia's crop was trimmed 1 MMT to 24 MMT, Canada's was reduced by 0.5 MMT to 27 MMT, and Kazakhstan's cut by a similar amount to 13.5 MMT. There were increases for Europe, up 1 MMT to 154.1 MMT and the US, up 400 TMT to 55.4 MMT. Tunisia tendered to buy 142 TMT of durum wheat. In Brazil, the wheat harvest in Parana state is said to be 72% complete versus 60% normally at this time. Quality is said to have improved amongst the later harvested material. Crop conditions in the US winter wheat belt are causing some concern. "The US Drought Monitor continues to show severe drought in Texas, Oklahoma and southern Kansas. These are the 3 top bread wheat states. This is a carryover from a historic drought last winter," said Martell Crop Projections. Dec 14 CBOT Wheat closed at $5.36, down 2 1/4 cents; Dec 14 KCBT Wheat closed at $6.02, down 4 1/2 cents; Dec 14 MGEX Wheat closed at $5.77 3/4, down 4 3/4 cents. 30/10/14 -- EU grains traded higher for much of the day, with the wheat market looking to extend its winning run to four out of four for the week so far. The board turned mostly red in afternoon trade though when US markets opened. At the close Nov 14 London wheat was down GBP0.35/tonne to GBP121.75/tonne, Nov 14 Paris wheat was EUR1.50/tonne lower at EUR172.00/tonne, Nov 14 Paris corn was up EUR0.50/tonne to EUR145.50/tonne, whilst expiring tomorrow Nov 14 Paris rapeseed fell EUR5.25/tonne to EUR329.25/tonne. The HGCA's contention that much of the current world record production forecasts are already "priced in" still appears to hold some water. The trade is already starting to look at crop production prospects for next year, and the don't have to look any further than Russia to find a potential problem. IKAR yesterday usurped SovEcon's suggestion that Russia's 2015 wheat crop could fall below 50 MMT with comments that production could fall as low as 46.5 MMT, even if they did throw in the "rider" that this number was preliminary and pessimistic. "Serious drought developed last summer continuing in September. The Southern District is Russia’s most important winter wheat area, accounting for 40-42% of the national harvest. It is made up of 4 districts Krasnodar, Stavropol, Rostov and Volgograd. "The 6-month rainfall time series confirms very severe drought in the Southern District, where a 120 mm soil moisture deficit has accrued. Rainfall has increased recently, denting drought, though record heavy rain would be needed to fully restore ground moisture," said Martell Crop Projections. "Very poor conditions in winter wheat are confirmed by remote sensing. An updated satellite image, valid September 20-October 15, reveals widespread vegetative stress," they add. Spec money appears to think that it's spotted and opportunity to get involved in the grains sector again, being acutely aware that weather-related problems in Russia have sent global wheat prices soaring twice in the last 5 years. Is history set to repeat itself in 2015? It's too early to say with a large degree of confidence, but it certainly can't be ruled out. It also needs to be considered that the acute weakness of the Russian rouble - down 21.7% against the US dollar since the beginning of July - will be a factor in grower's decisions whether or not to replant in the spring. It will also affect their ability to purchase spring seed and fund other agricultural inputs. And this is a scenario that could also be replicated in Ukraine. MDA CropCast don't seem to believe the hype though, they released a world wheat production estimate for 2015/16 today of a record 720.4 MMT, a 7.8 MMT increase on their figure for the current season. They are also not as bearish on wheat production prospects in Australia as some other analysts, standing by their forecast from last week of 24.04 MMT. The pound slid below 1.60 against the dollar today, following last night's announcement from the US Federal Reserve that quantitative easing is to end this month. As we head into what some analysts call "Naughty November" it is worth noting that sterling has fallen against the US currency during the penultimate month of the year in 10 of the last 14 years, and in 14 of the last 20. Talking of seasonal trends, there are also ones for London wheat, and Chicago corn and soybeans all to move higher in the last quarter of the year, a pattern that all three seem to currently be conforming to. In other news, Euronext announced the launch of a Paris rapeseed meal and oil contract starting Nov 14th. The first delivery positions will be for next season's harvest. 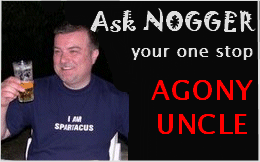 Q: Dear Nogger, I'm at my wits end and don't know who to turn to, so please help. I've sold all my wheat at the bottom of the market, my herd of prime pedigree beef cattle have all got TB, the wife has run off with the captain of the local rugby club and my son came home from agricultural college at the weekend and announced that he's gay and now wishes to be called Doris. My question is this, the binmen are refusing to take my recycling bin after the lid blew off it in a storm, what can I do? A: That's a tricky one Brian, as legally binmen can do whatever the hell they like. Try painting your other bin the same colour as the recycling one on a bi-weekly basis, that's worked for me in the past. 29/10/14 -- Soycomplex: Beans and meal closed sharply higher once more. "Logistic woes getting meal via railcar into eastern processor market has the feeder double booking needs with trucks while the exporter needs to keep pipeline moving to meet record pace of meal export sales," said Benson Quinn Commodities. Heavy fund buying, estimated at around 15,000 contracts on beans and a further 5-8,000 on meal was also a bullish factor. Dec 14 meal is now up almost $100/tonne since the beginning of October. Reuters report that US sellers have sold a record 6.245 MMT of soymeal for export this season, of which only 230 TMT has been shipped so far. Argentine farmers have only sold 65% of their 2013/14 soybean crop versus 75% a year ago, said the Ag Ministry there. Planting of the Argentine 2014/15 soybean crop is now underway. Brazilian weather is improving, with good rains in the forecast to aid delayed planting there. Trade estimates for tomorrow's weekly export sales report for beans are in the region of 1.0 to 1.5 MMT. Oil World said that they expect soyoil prices to rise in the Oct-Mar time frame, further increasing demand for beans. Nov 14 Soybeans closed at $10.43, up 35 cents; Jan 15 Soybeans closed at $10.49, up 34 cents; Dec 14 Soybean Meal closed at $397.20, up $22.10; Dec 14 Soybean Oil closed at 34.18, up 139 points. 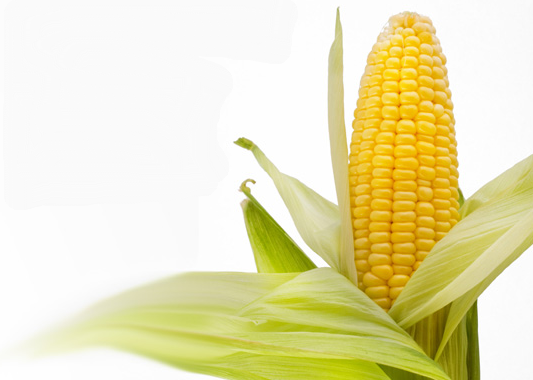 Corn: The corn market closed with strong gains, aided by spillover sentiment from the soya pit. The US Energy Dept reported weekly ethanol production up to 937,000 barrels/day versus 896,000 barrels/day a week ago, that's the largest weekly grind since mid-August. Ethanol stocks fell to 17 million barrels, down from 17.9 million barrels a week earlier. Increased production, but lower stocks leans bullish for corn. Ukraine said that it's 2014 grain harvest was now 90% complete at almost 55 MMT, including 18.4 MMT of corn to date. Russia said that it's 2014 grain harvest was 95.5% done at 107.7 MMT. The Russian corn harvest is now almost 80% done, producing a crop of 9.6 MMT to date. The Argentine Ag Ministry reported that growers there have sold almost 82% of their 2013/14 corn crop versus 80% a year ago. Delayed soybean planting in Brazil still fosters the belief that plantings/yields of second crop corn could also now be affected. Fund buying in corn was estimated at a net 7,000 contracts on the day. Trade estimates for tomorrow's weekly export sales report are in the region of 700-900 TMT. Dec 14 Corn closed at $3.75 1/4, up 10 3/4 cents; Mar 15 Corn closed at $3.88 1/2, up 10 1/2 cents. Wheat: The wheat market closed higher, with fund money buying an estimated net 3,000 lots in Chicago. The jungle drums continue to suggest that all is not well with wheat prospects in Russia for next year. Their 2015 wheat crop could fall to 46.5 MMT from 58.5 MMT this year, said IKAR - echoing recent comments made by SovEcon that next year's crop could be below 50 MMT due to poor establishment leading to increased winterkill possibilities and reducing yield potential. The Russian Ag Ministry said that the 2014 wheat harvest was now 95.5% done on 23.5 million hectares, producing a crop of 61.4 MMT in bunker weight to date. Jordan bought 100 TMT of optional origin feed barley for April/May shipment in a tender. They are also tendering for a similar quantity of wheat. India announced that it was increasing the price it pays local farmers for wheat by 3.6% for the 2015 harvest to encourage plantings and increase it's food security. They already pay growers well in excess of world prices for wheat. Trade expectations for tomorrow's weekly export sales report are a modest 300-400 TMT. Dec 14 CBOT Wheat closed at $5.38 1/4, up 7 1/2 cents; Dec 14 KCBT Wheat closed at $6.06 1/2, up 4 1/2 cents; Dec 14 MGEX Wheat closed at $5.82 1/2, up 5 3/4 cents. 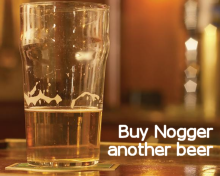 Q: Dear Nogger, why eye like, I know the wheat markets gone up a bit like in the last few days an' all that, but I still cannae make ends meet like. And to make matters worse like me missus is like reet ugly like. And the council only come round to empty the bins once a fortnight now, and I've got eight bairns and me missus is as fat as a hoose like. And they only give us one bin, and that's usually full by Monday like. Can you explain to me what a stochastics oscillator is? A: I get asked this one all the time Joe. Simply write to the council and tell them that you have a clinically obese partner, take a photograph of her if necessary, and tell them it is a basic human right under section 74 of the Geneva Convention to have a bin for every day of the week if you want one. Explain politely, but forcefully, that you want 13 extra bins delivered to your house first thing in the morning or some gypsy gentlemen of your acquaintance will be calling round to the council offices to "rearrange" a few things. No. Next. 29/10/14 -- EU grains staged another day of decent gains. "Some of the (recent) support has come from a later than usual US maize harvest and drier than normal conditions in key wheat growing areas of Australia," said the HGCA. At the close Nov 14 London wheat was up GBP0.70/tonne at GBP122.10/tonne, Nov 14 Paris wheat finished EUR4.00/tonne higher at EUR173.50/tonne, Nov 14 corn was EUR1.25/tonne firmer at EUR145.00/tonne and Nov 14 rapeseed ended up EUR6.50/tonne to EUR334.50/tonne. Open interest in front month Nov 14 London wheat was down to 172 lots as of last night's close, following heavy deliveries against the contract in the past couple of days. The HGCA also noted dryness in South America delaying summer plantings there, and suggested that "these are the first bullish sentiments in some time after an almost continuous flow of bearish news over the past six months or so." They didn't (in that article) mention worries about poor emergence of Russian winter grain plantings. 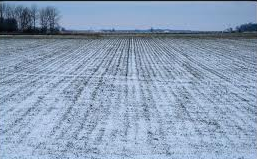 Agrimoney quoted one Black Sea farm operator as saying that "20% of (it's Russian) winter seeded area has emerged in a poor state and is not well prepared to face the winter." Meanwhile the 2014 Russian harvest soldiers on, hampered by heavy snowfall in some areas of the Urals and Siberia. The former is only 77% harvested on 2.6 million hectares, versus 3.1 million this time last year. Kazakhstan is also struggling to get the last of it's 2014 harvest in, with 12.5% of the crop still out in the fields as of Oct 27, as winter closes in. In the north of the country, the first snow fell in mid-October and prior to that it rained almost continuously, reducing the quality of this year's wheat crop. They are now said to be buying in better quality Russian wheat to blend in with their own domestic harvest. Ukraine said that they'd exported 11.24 MMT of grains so far this year, up 25% from a year ago. Wheat accounts for 56% (6.27 MMT) of that total, with barley responsible for 29% (3.21 MMT) and corn an additional 14% (1.62 MMT). 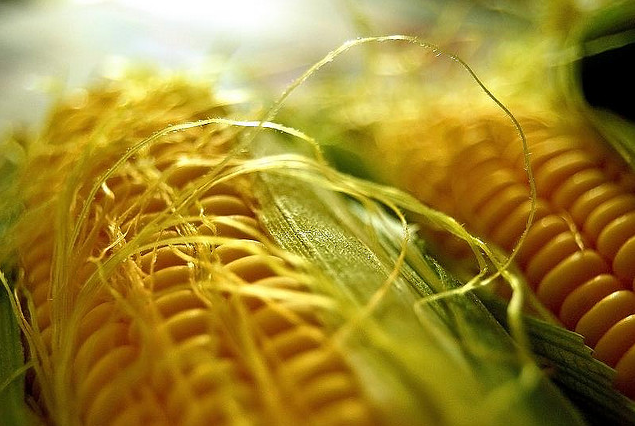 They are expected to soon start to major on corn exports, with harvesting of that crop around 75% complete. UkrAgroConsult said that Ukraine exported a record 19.87 MMT of corn in 2013/14, a 58% increase versus the previous marketing year. Jordan cancelled a tender for 100 TMT of optional origin hard milling wheat due to lack of offers, and immediately re-issued another one. Given recent price action I wouldn't be surprised to see Egypt's GASC back in the market again in the next few days. Meanwhile it looks like speculative money is coming back in, and fund activity in the grains sector is increasing. Yesterday saw a record volume trade in Chicago soybeans and meal. Dec 14 soymeal in Chicago is up 28% since the first of the month, it is still however 25% below the highs of 2014, it is also 29% under the 2013 high and 30% beneath the highs of 2012. Incidentally all three of those annual highs were set in the summer months, this year it was June, last year it was July and in 2012 it was set in August. 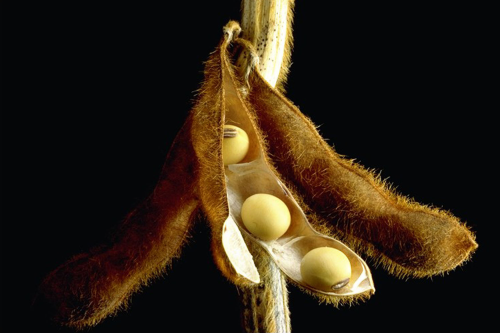 28/10/14 -- Soycomplex: Beans closed with small gains, but well off the highs of the day. This could be attributed to month end profit-taking. Safras e Mercado said Brazil has planted 12.5% of their 2014/15 soybean crop versus 26% a year ago and 31% on average at this time. Leading producing state, Mato Grosso, is only 16% done versus 48% a year ago and on average, they said. Abiove estimated Brazil’s 2014/15 soybean crop at 91.0 MMT. Dr Cordonnier cut his Brazilian crop estimate for next year to 93.0 MMT versus a previous forecast of 94.0 MMT, although that would still be a record. He pegged Argentina's crop at a record 56.0 MMT, unchanged from his previous estimate. He said that Argentina’s bean crop is 2-3% planted. He forecast US soybean yields this year at a record 47.5 bu/acre, with production at an all time high 3.96 billion bushels, both unchanged from previously. Argentina's September soybean crush was said to be 3.344 MMT, down 6.6% from a year ago. "Brazil rainfall is expected to sharply increase in the coming days the 5-day forecast calling for above normal rainfall in all key soybean states. A few strong showers occurred yesterday and very heavy rain along the Atlantic coast in Minas Gerais," said Martell Crop Projections. Nov 14 Soybeans closed at $10.08, up 2 cents; Jan 15 Soybeans closed at $10.15, up 2 1/4 cents; Dec 14 Soybean Meal closed at $375.10, down $1.70; Dec 14 Soybean Oil closed at 32.79, up 56 points. Corn: The corn market closed with modest gains, but ended closer to the lows of the day than the highs. The soybean and meal markets continue to lead the complex. "It still looks like the trade needs confirmation the soybean market is done going up and the process of putting new capital to work in corn is over," said Benson Quinn Commodities. Dr Cordonnier estimated US 2014 corn yields at a record 175 bu/acre, with production at an all time high 14.49 billion bushels, both unchanged from previously. He now has the Brazilian corn crop estimated at 73.0 MMT versus his previous estimate of 74.0 MMT. He also trimmed his estimate for the Argentine corn crop by 1 MMT to 21 MMT. He said that Argentina’s corn crop is 33% planted. Brazil's full season corn crop is said to be around 45% planted versus 65% normally at this time. The Russian Ag Ministry said that the country had harvested 2.1 million hectares of corn so far, or 78.4% of plan. That's produced a crop of 9.4 MMT to date (in bunker weight), with yields down from 5.29 MT/ha a year ago to 4.54 MT/ha. Russia said that it had exported 234 TMT of corn in Oct 1-22, and 544 TMT in the 2014/15 marketing year so far. Ukraine said that it had harvested 53.8 MMT of grains so far this year, including 17.9 MMT of corn. Dec 14 Corn closed at $3.64 1/2, up 1 1/2 cents; Mar 15 Corn closed at $3.78, up 1 1/4 cents. Wheat: The wheat market closed with decent gains of around 5-8 cents on continued short-covering. Rabobank cut their forecast for the Australian wheat crop from 23.5 MMT to 23 MMT. Other trade estimates are in the 22-23 MMT region versus the official ABARES estimate of 24.23 MMT in September. Taiwan bought 41,250 MT of US wheat for Dec/Jan shipment. Iran bought 60,000 MT of Black Sea origin barley for November shipment. Canada said that it had exported 4.1 MMT of common wheat and 1.1 MMT of durum so far this marketing year, a rise of 10% and 20% respectively compared to a year ago. Despite sharply lower production in 2014, the large carryin left over from last year means that Canadian exports will remain high in 2014/15. These are forecast at 18.5 MMT for common wheat (versus 18.4 MMT a year ago) and 4.7 MMT for durum (versus 5.1 MMT). Russia said that it had exported over 14 MMT of grains so far this season, including 11.62 MMT of wheat and 1.76 MMT of barley. The Ministry there said that the 2014 grain harvest is now 95.3% done on 43 million hectares producing a crop of 107.4 MMT to date. Wheat accounts for 61.3 MMT of that total and barley a further 21 MMT. Russian winter grain plantings are 99% complete. Ukraine said that winter wheat planting there was 98% complete on 6.1 million hectares. Spain forecast their winter soft wheat area at 1.87 million hectares, an increase of 100k ha from a year ago. Algeria bought 300 TMT of durum wheat in a tender. Dec 14 CBOT Wheat closed at $5.30 3/4, up 8 cents; Dec 14 KCBT Wheat closed at $6.02, up 7 1/4 cents; Dec 14 MGEX Wheat closed at $5.76 3/4, up 5 cents. EU Grains Push Higher, Are Funds Falling Back In Love With The Ag Sector? 28/10/14 -- EU grains traded higher again Tuesday, extending the recent rally. There does seem to be an element of fund/spec money coming back into the grains sector, which could be a supportive factor going forward. Currently Nov 14 London wheat ended up GBP0.95/tonne to GBP121.40/tonne, Nov 14 Paris wheat finished EUR4.50/tonne firmer at EUR169.50/tonne, Nov 14 Paris corn was unchanged at EUR143.75/tonne, whilst Nov 14 Paris rapeseed has zoomed EUR5.50/tonne higher to EUR328.00/tonne. What might be tempting the funds back? Falling energy and equity markets are a couple of reasons being cited. The FTSE 100 is currently down 7% since early September, and NYMEX crude is down more than 16% in the same period. Meanwhile Chicago wheat, corn and soybeans have all risen by 10-13% during this time. There's a whiff in the air that the grain markets are ripe for a quick buck still to be made. Even if we have seen the harvest lows, prices still aren't that much up from the lowest levels seen in more than 4 years in wheat, corn and soybeans. Some are clearly seeing that as opportunity. Rumblings that all is not well with the crops in the FSU, suggest that there could be some decent upside potential ahead, particularly if they get a hard winter. There's still 12.5% of Kazakhstan's 2014 grain harvest to bring in yet, which will be no easy feat with temperatures there now down to -10C. Russia's winter grain plantings are all in, and in a timely manner too, but various reports suggest that lack of rainfall prior to the recent freeze leaves crops there poorly established and not in a good condition to make it comfortably through the winter. The Russian rouble meanwhile has fallen to all time lows against the US dollar and euro today. Not only does that mean that spring seeds and fertiliser/agrochemical costs will be sharply higher in 2015, it is also encouraging growers to hang onto what grain they haven't sold from the 2014 harvest. Ukraine also has currency troubles of it's own. 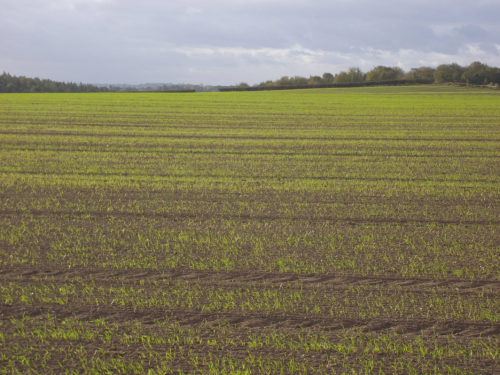 As of Oct 24 winter barley plantings had only been completed on 838.4k hectares, 18% down on a year ago and a 5-year low. Weather conditions there are similar to those in Russia, with moisture deficits and cold temperatures reducing crop conditions heading into winter dormancy. The Ukraine Ministry said today that the country's 2014 grain harvest is 89% complete. The Russian Ministry said that the country had exported over 14 MMT of grains so far this season, a rise of a third on a year ago. Wheat accounts for the vast majority of that activity at 11.62 MMT, or 83%. Elsewhere, the USDA's FAS in Morocco pegged the 2014/15 cereal crop there at 6.8 MMT, a 30% fall on a year ago. They also said that the prospects for 2015/16 had started under "unfavourable conditions" with a significant rainfall shortage and low water levels in the reservoirs. At home, there were 27 re-tenders against the in delivery Nov 14 London wheat contract, taking the total number of tenders to 1070 out of a total open interest of 1217 lots. 27/10/14 -- Soycomplex: Beans and meal closed sharply higher, with the latter leading the way. The soymeal cash market is very tight on a spot basis with rail freight logistic problems in the east turning nearby demand over to trucks in double buying, as the end-user looks to secure needs in the short run, said Benson Quinn Commodities. Strong demand for meal equals strong demand for beans, and growers are reluctant to sell at current levels having got used to "beans in the teens" over the last few years. International demand is strong too, and the late planting in Brazil is only serving to extend the period in which the US must keep the rest of the world supplied with beans. The USDA announced 120,000 MT of US beans sold to China, along with 110,500 MT sold to unknown destinations for 2014/15 shipment. Weekly export inspections were also extremely robust, topping 2 MMT for the second week running. AgRural said that 16% of the Brazilian 2014/15 soybean crop has been planted, up from 10% a week ago, but well behind 34% a year ago. "Despite pretty good rain last week, the October rainfall deficit is still daunting in Mato Grosso, Brazil’s top soybean state, ranging from 50 to 200 mm," said Martell Crop Projections. "The forecast has suddenly become very wet in central Brazil. Three-five inches of rain is predicted this week in Mato Grosso, Mato Grosso do Sul and Paraguay with recurring strong thunderstorms. This would increase field moisture for soybean planting and germination. Less significant rainfall is predicted in southeastern Brazil in Parana and Rio Grande do Sul," they added. The Buenos Aires Grains Exchange estimated Argentine soybean plantings at a record 20.6 million hectares versus 20.35 million a year ago. They said that the crop is 2% planted. After the close the USDA reported the 2014 US soybean harvest had advanced from 53% done a week ago to 70% complete as of Sunday night. Crop condition ratings for beans have now ceased. Nov 14 Soybeans closed at $10.06, up 45 1/2 cents; Jan 15 Soybeans closed at $10.12 3/4, up 29 1/2 cents; Dec 14 Soybean Meal closed at $376.80, up $34.70; Dec 14 Soybean Oil closed at 32.23, down 16 points. Corn: The corn market posted double digit gains in spillover support from soaring beans and meal. "Although Friday’s poor close and what appeared to be routine harvest selling offered pressure to the row crop markets overnight, corn and soybeans failed to attract enough follow-through selling to offset support from the soymeal market," said Benson Quinn Commodities. They also noted that "the idea that capital is rotating into the US Ag sector is valid with funds favouring the buy side". This simply appears to be one of those days where the trade was only interested in anything bullish, bearish factors (and there were some) were simply ignored or brushed aside. Weekly export inspections were no more than OK at 702,906 MT. Reuters confirmed last week's reports that UK feed wheat was being shipped into the US south east, competing with corn in the feed ration. 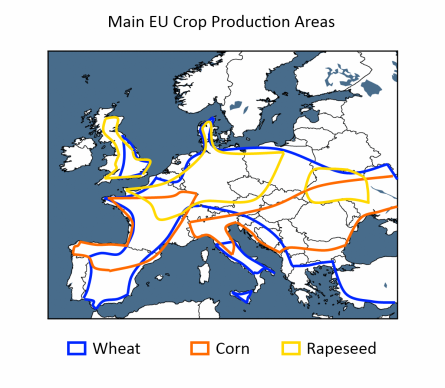 MARS estimated 2014 EU corn yields at 7.59 MT/ha versus 6.75 MT/ha a year ago. 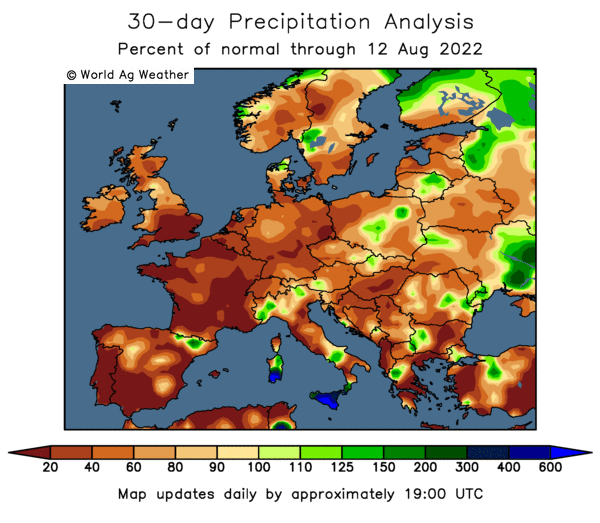 "Summer crop yields at EU-28 level are high and corn yields in Romania, Hungary and Bulgaria are forecast more than 25 % above the five year average," they noted. Record production is expected in Europe as well as the US this year. The Buenos Aires Grains Exchange said that 32.8% of the Argentine corn area is planted versus 30% a week ago and 26.8% a year ago. The USDA said that 46% of the US corn crop has now been harvested versus 31% a week ago and 65% for the 5-year average. Crop condition ratings were left unchanged at 74% good to excellent. They said that 96% of the crop is mature versus 93% a week ago and 97% on average at this time. "A warm ridge of high pressure has dominated the Central United States over the past 7-10 days, warding off showers and promoting strong harvesting. Midwest rainfall last week averaged only 0.20 inch, the smallest weekly amount in 3 months. Temperatures last week were 4-5 F above normal, increasing evaporation and enhancing crop drying. Showers are expected to get under way tonight in the Upper Midwest, Midwest, Illinois and Indiana, spreading south and eastward into the Mid South. Clearing is predicted Thursday. However, a second wave of showers is predicted in the Midwest on the weekend," said Martell Crop Projections. Dec 14 Corn closed at $3.63, up 10 cents; Mar 15 Corn closed at $3.76 3/4, up 10 cents. Wheat: The wheat market closed with relatively modest gains compared to corn and beans. "Wheat is at best a follower," said Benson Quinn. They again noted "talk of capital rotating out of the energies and into the Ag sector". That's certainly plausible, with WTI crude slipping below $80/barrel again at one point yesterday. Weekly export sales of only 212,575 MT offered zero encouragement. Neither did apparent confirmation from Reuters of last week's rumours that the US is importing feed wheat from the UK. The Russian grain harvest now stands at 107.3 MMT off 42.9 million hectares (95% of the anticipated area). Wheat accounts for 61.2 MMT of that total, also off 95% of the planned area. Winter grain planting (mostly wheat) is now 99% complete, say the Ministry. Ukraine's Ag Ministry said that their 2014/15 grain exports now stand at 11.2 MMT, an increase of 31% versus a year ago. That total includes 6.3 MMT of wheat, 3.2 MMT of barley and 1.6 MMT of corn. A year ago exports were 5.1 MMT of wheat, 1.8 MMT of barley and 1.6 MMT of corn. The Ukraine Ag Ministry are still forecasting what looks like an ambitious full season grain export total of a record 33 MMT. The Buenos Aires Grains Exchange said that the Argentine wheat harvest is 2.4% complete versus 1% a year ago. They forecast production this year at 11.5 MMT versus 10.1 MMT a year ago. "Kazakhstan is reportedly buying Russian wheat in response to potentially up to 4 MMT of production in that country that won’t get harvested this fall," said Benson Quinn. Yet the Kazakh Ministry say that this year's grain harvest has reached 16.2 MMT out of an anticipated 17 MMT total. Traders report that wheat quality, especially in the north of Kazakhstan, is quite poor this year. Meanwhile "wheat growing regions of the FSU have tended to be too dry and too cold to foster good early development, which could result in issues next spring," note Benson Quinn. The USDA reported winter wheat planting in the US for the 2015 harvest at 84% complete, up from 76% a week ago, and exactly in line with the 5-year average. Winter wheat emergence is at 67%, up from 56% a week ago, and 5 points ahead of the norm. Crop conditions were placed at 59% good to excellent in the first ratings report of the season. It was 61% a year ago. Dec 14 CBOT Wheat closed at $5.22 3/4, up 5 cents; Dec 14 KCBT Wheat closed at $5.94 3/4, up 1 cent; Dec 14 MGEX Wheat closed at $5.71 3/4, up 4 3/4 cents. 27/10/14 -- EU grains closed mostly higher, having spent a large part of the day lower, with London wheat in particular playing catch-up with Friday night's sharp losses seen in Paris and Chicago. The day ended with Nov 14 London wheat up GBP0.65/tonne to GBP120.45/tonne, Nov 14 Paris wheat closed EUR0.75/tonne lower at EUR165.00/tonne, Nov 14 Paris corn fell EUR0.75/tonne to EUR143.75/tonne, whilst Nov 14 Paris rapeseed was down EUR0.50/tonne to EUR322.50/tonne. Today was the first tender day on the Nov 14 London wheat contract, in a tender period with 4 weeks left to run. There were over 1000 lots tendered for delivery, which is the majority of the open interest in the contract. That doesn't suggest that end-users are queueing up to buy UK wheat, so traders are thinking let the futures market have it instead. Meanwhile, there's still an open interest against the Nov 14 Paris wheat contract of in excess of 30,000 lots, and that contract expires in just two weeks! With delivery seemingly not an option, as the futures stores in Rouen are still closed for intake, some fun and games look likely in that contract between now and Nov 10. 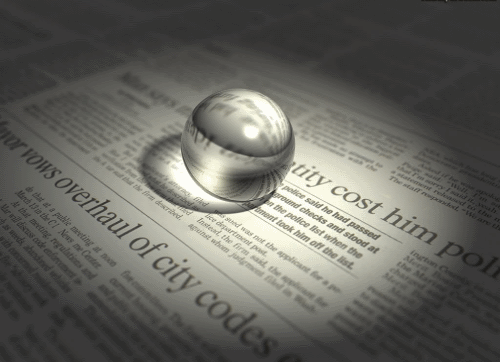 Fresh news was relatively thin on the ground, as is often the case on a Monday. Today's early price action could probably be attributed to a feeling that the market has gone up "too much, too quick" with London wheat up around 11.5% and Paris wheat gaining more than 13% from the lows set only around 4 weeks ago. However, late in the day strength in soybeans and meal when the US markets opened spilled over into the grains, sending London wheat up to close on the highs of the day in what it has to be said looks like a bit of a false close. The EU Commission's MARS unit tweaked their estimates for grain yields here in Europe this year, although most of the changes were only relatively minor. Average 2014 EU soft wheat yields were trimmed from the 5.88 MT/ha forecast a month ago to 5.87 MT/ha, although that's still up versus 5.82 MT/ha a year ago and 5.4% above the 5-year average. Winter barley yields were also reduced from September's 5.61 MT/ha to 5.57 MT/ha, and those for rapeseed shaved from 3.33 MT/ha to 3.32 MT/ha. Corn yields were left unchanged at 7.59 MT/ha. 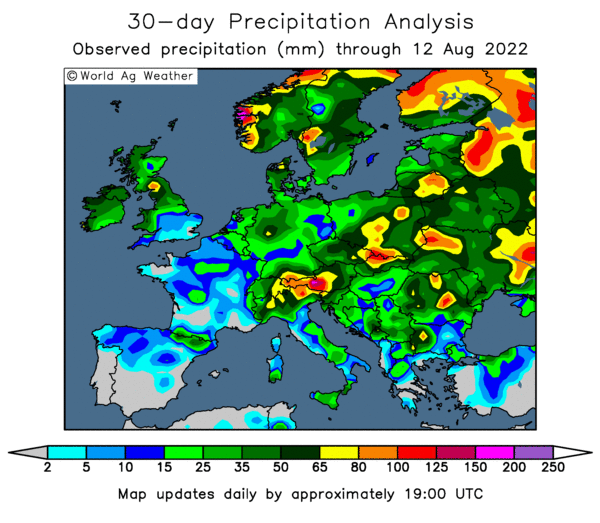 "Summer crop yields at EU-28 level are high and maize yields in Romania, Hungary and Bulgaria are forecast more than 25 % above the five year average," they noted. 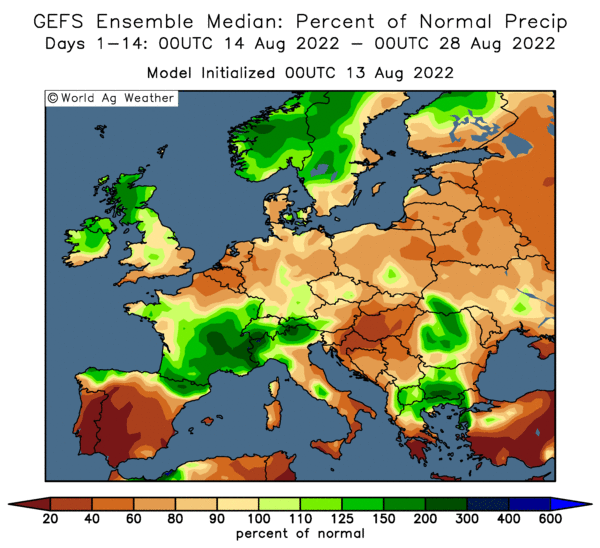 One area of slight concern is Ukraine, where the grain maize yield "is forecast to be below the long-term trend (albeit close to the 5-year average), due to the dry and warm weather observed this summer." Corn yields in Ukraine were forecast at 5.7 MT/ha versus the 5.81 MT/ha predicted a month ago and last year's bumper 6.4 MT/ha. Conversely, spring wheat and barley yields in Russia are expected to be at "near-record" levels, they said. Kakzakhstan said that they'd harvested 16.2 MMT of grains so far this year, off 13.1 million hectares, or 87.5% of plan. The Ag Ministry forecast a final bunker weight crop of 17 MMT, down 6.6% versus 18.2 MMT a year ago. In clean weight that means around a 15.5 MMT crop, up from the 14-15 MMT output forecast previously, they said. The country's grain exports in 2014/15 will fall to 8 MMT from 8.7 MMT a year ago, they also estimated. Bangladesh signed deals to buy 250 TMT of Ukraine corn in an inter-governmental trade. The latter's exports are holding up well, although wheat shipments are slowing. The country's seaports shipped out 673 TMT of grains last week, only slightly down on the 689 TMT exported the previous week. Wheat accounted for 212.5 TMT of the total, with barley 378.9 TMT and corn 81.6 TMT, said APK Inform. In percentage terms that gives wheat around a 32% share of last week's export total, versus 50% the previous week and 77% for the week prior to that. 27/10/14 -- The overnight grains trade lower, extending their Friday night losses. The official London wheat closes from Friday were nowhere near as bad as those for Paris and Chicago wheat, and the latter's losses have now been added to on the Globex market, so we can expect London wheat to play catch-up this morning when trading begins shortly. The USDA will report on US harvest progress later tonight. As of last Sunday the soybean harvest was 53% complete and corn 31% done. If US growers follow the recent pattern then they will have put more effort into getting their beans in than their corn again last week. So we may seen soybeans around 68-70% harvested tonight, with corn somewhere around the 43-45% done mark. Weekend weather in the Midwest appears to have been pretty friendly. Brazil got some rain too, and there's more in the forecast, improving conditions for planting full season corn and beans. Brazil's leftist President Dilma Rousseff narrowly won re-election there on Sunday. That could keep the Brazilian real under pressure, which is bearish for the grain markets as it makes their exports more competitive and increases the domestic price paid to the Brazilian grower, in theory supporting strong plantings. As well as tonight's USDA crop progress report, we are also expecting the latest review of EU 2014 yields from MARS later today. Thursday brings the IGC's October report and the USDA's regular weekly export sales numbers. The Nov Paris rapeseed contract expires on Friday. The Kazakh Ministry have raised their forecast for this year's grain crop from 14-15 MMT to 15.5 MMT in clean weight, or 17 MMT in bunker weight. Last year's crop was 18.2 MMT in bunker weight. They've harvested 16.2 MMT so far off 87.5% of the planned area.